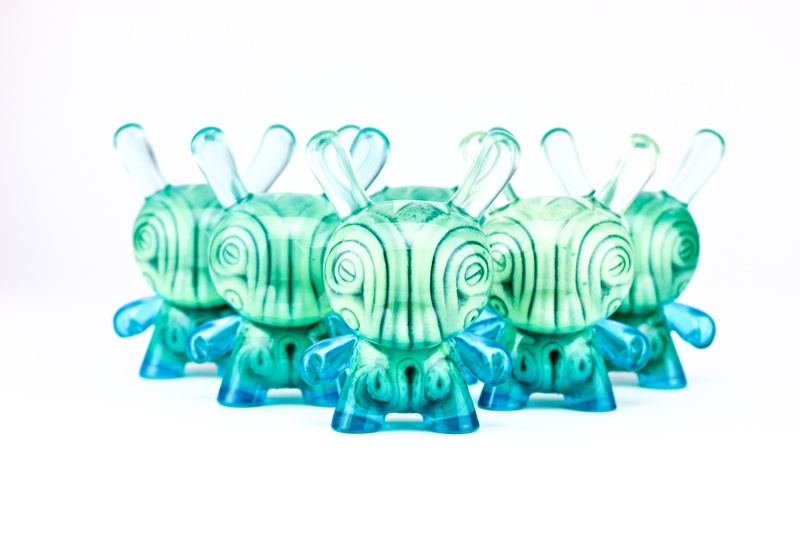 » OCTODUNNY BLUE FADE RELEASE! Hand-sculpted by artist Dethchops, the internal Octo Taku Taku is cast in a gossamer blue/green SUPER GLOW-IN-THE-DARK resin, with an external blue fade skin! Each of these pieces are lovingly hand-created in New York by Clutter Studios!! Dropping on shop.cluttermagazine.com on Friday, September 15th, at 12 (noon) EST.